Book with CruiseExperts.com and take the next 48 hours to look for a lower rate. If you do find one, we'll give you 110% of the difference back in onboard credit. Our Cruise Experts are fast, friendly, supremely knowledgeable and uphold a standard of excellence. 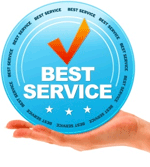 However, if you are ever dissatisfied with any aspect of our service or CruiseExperts.com, please contact me to tell me about it. I will respond as quickly as possible. 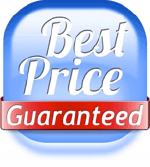 *Low Price Guarantee Terms and Conditions: Our Low Price Guarantee applies to the advertised cruise fare only. The Low Price Guarantee protection will not apply to prevailing taxes, fees and port expenses and/or fuel supplement. Lower rates must be publicly advertised by the cruise line, available to the general public and exclude group rates, membership programs, charters or other Travel Agent promotions not offered by the cruise line to the general public, including but not limited to travel agent rebates. You will be asked to provide the lower rate amount and where the rate can be found. Lower rate must: i) be for the same ship, sail date, stateroom category and number of guests; and ii) be available for booking at the time CruiseExperts.com reviews your Low Price Guarantee claim. The onboard credit is non-refundable, non-transferable and has no cash value. Any unused portion of the onboard credit will be forfeited. Lowest Price Guarantee program may be discontinued or changed at any time.